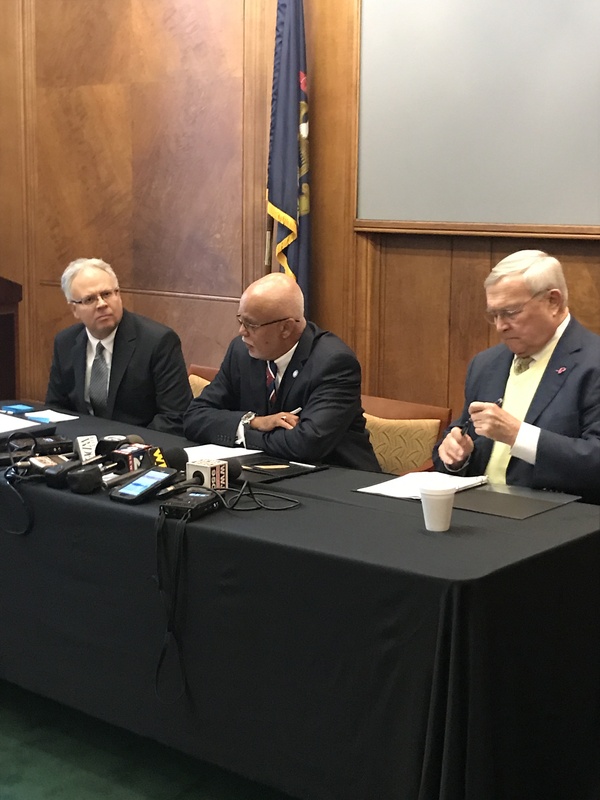 Wayne County Executive Warren C. Evans and Oakland County Executive L. Brooks Patterson today announced a joint lawsuit against multiple drug manufacturers and distributors alleging the deceptive marketing and sale of opioids – a dangerous, highly addictive and often lethal class of painkillers, including OxyContin and Fentanyl. The lawsuit, the first such suit filed in Michigan, comes as opioid-related deaths continue to climb and opioid-related addiction continues to devastate communities across the country. The lawsuit alleges that one of the main drivers of the catastrophic nationwide opioid epidemic is drug manufacturers’ deceptive marketing and sale of opioids to treat chronic pain, including their concerted, coordinated strategy to shift the way in which doctors and patients think about pain and to encourage the widespread prescribing and use of opioids. The complaint alleges that defendants intentionally misled doctors and patients about the appropriate uses, risks, safety, and efficacy of prescription opioids while downplaying the risks of addiction. The defendants in the case are Purdue Pharma, L.P., Cephalon, Inc., Endo International, PLC, Janssen Pharmaceuticals, Inc., Teva Pharmaceutical Industries, Ltd., Teva Pharmaceuticals, USA, Inc., Insys Therapeutics, Inc., AmerisourceBergen Corporation, Cardinal Health, Inc., McKesson Corporation, Mallinckrodt PLC and Mallinckrodt Pharmaceuticals. In all, more than 183,000 people died in the United States between 1999 and 2015 from overdoses directly related to prescription opioids. In 2016, opioid-related deaths in Wayne County alone totaled 817, up from 506 in 2015, a 61% increase. Opioid related deaths in Oakland County increased 267% from 9 deaths in 2009 to 33 deaths in 2015. Wayne and Oakland Counties have also suffered significant financial consequences that continue to grow as a result of opioid over-prescription and addiction, including increased costs for law enforcement, courts, jails, emergency and medical care services, public works, and substance abuse treatment and diversion plans. The complaint alleges that defendants, including McKesson, AmerisourceBergen, and Cardinal Health which are each among the top 15 companies in the Fortune 500, have reaped tremendous profits from these practices. In 2011, pharmaceutical companies generated revenues of $11 billion from opioid sales alone. The complaint was filed today in the U.S. District Court for the Eastern District of Michigan. Plaintiffs Wayne and Oakland counties are represented by The Miller Law Firm, P.C. and Robbins, Geller, Rudman & Dowd LLP. In order to have the strongest legal team representation, the Corporation Counsels of Wayne County Zenna Elhasan and Oakland County Keith Lerminiaux sought out the most highly qualified firms to pursue this litigation.